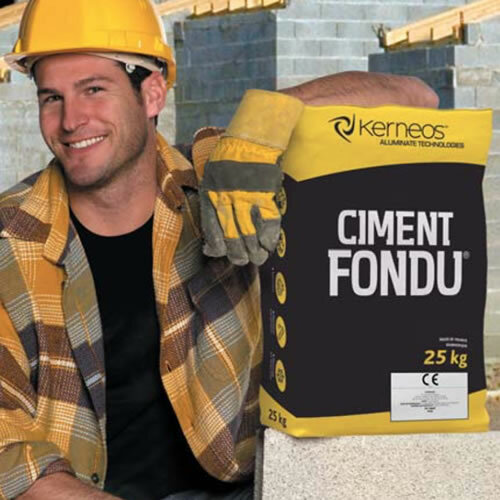 Ciment Fondu is suitable for use in environments where the cement might be exposed to temperatures of up to 1000 deg C. The term describes the category of Calcium aluminate cements. These are cements that consist mainly of hydraulic calcium aluminates. 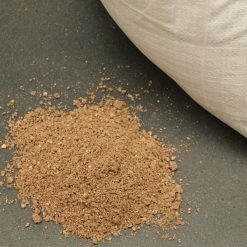 Alternative names also include "aluminous cement" and "high-alumina cement". When constructing a fireplace in readiness for fireplace tiles or hearth tiles, this product is a must. These types of cement are particularly suitable for use with small-scale, specialised applications such as the installation of fireplaces and hearths. Our recommended mix for blending crushed firebrick with ciment fondu is four parts crushed brick to one part ciment fondu. At FireTile we have been manufacturing and supplying a wide range of products, including Cement Fondu for use with fireplace construction projects and are happy to discuss your needs with you. Please browse our range and call us on 01782 281617 if you need advice or assistance with these products.